President Trump followed through on his frequent complaint that Amazon is costing the U.S. Postal Service "many billions of dollars" by urging the postmaster general to double the rate the U.S. Postal Service charges Amazon and other companies to ship their packages, the Washington Post reported Friday. Citing three sources familiar with the conversations between U.S. Postmaster General Megan Brennan and President Trump, the Post also reported that Brennan has not acceded to the president's wishes for several reasons. For one, the Postal Service has binding contracts with these companies, and a regulatory commission would have to review those contracts. But she has also reportedly told Mr. Trump that the USPS relationship with Amazon is beneficial. In 2017, Postal Service revenues from private shippers including Amazon added up to $7 billion, Politifact noted. Does the post office actually lose money on Amazon? 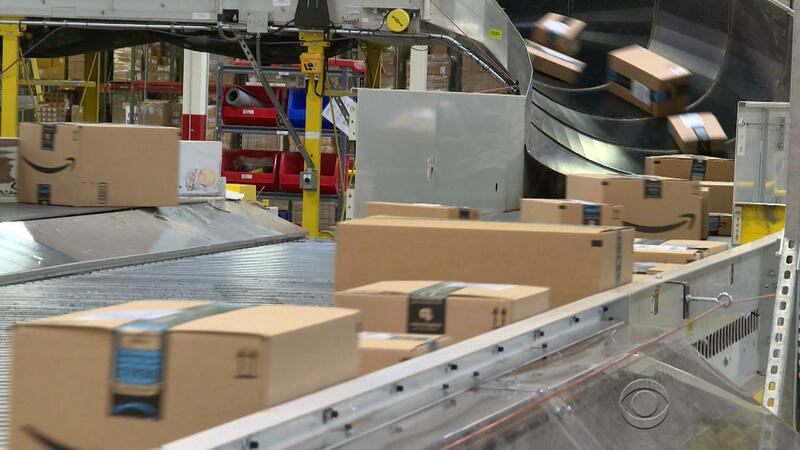 If the rates were doubled, it would cost Amazon and private shippers billions, which would likely be passed on in the form of higher prices for shoppers. The Post's sources said that Brennan and Mr. Trump have met on this issue several times beginning in 2017 and also had a meeting on it four months ago -- none of which appeared on Mr. Trump's public schedule. The Post also reports that the president has met with Treasury Secretary Steven Mnuchin, then-National Economic Council Director Gary Cohn, Domestic Policy Council Director Andrew Bremberg and other top advisers about Amazon's business practices, ranging from its shipping rates to whether it pays enough in taxes -- both topics that the president has tweeted about. The White House does not have a comment on the report at this time. In April, Mr. Trump tweeted, "I am right about Amazon costing the United States Post Office massive amounts of money for being their Delivery Boy. Amazon should pay these costs (plus) and not have them bourne [sic] by the American Taxpayer. Many billions of dollars. P.O. leaders don't have a clue (or do they?)!" In fact, packages and shipping have been an area of growth for the Postal Service that has offset the decline in volume of letter and magazine delivery. USPS said in its annual report last year that its revenue growth "is driven entirely by increases in shipping and packages." It loses money every year largely because of pension and health care costs, and not, as the president claimed, because Amazon is using USPS as its "delivery boy." CBS News' Ed O'Keefe contributed to this report.